For the average small business owner, scheduling appointments by phone takes up far too much time, time that could better be spent on other parts of your business. Even hiring an employee doesn’t solve the inefficient nature of scheduling appointments by phone. In this article, we are going to discuss the benefits of implementing an online scheduling portal. A scheduling portal is a public-facing web page where visitors can view your availability and schedule an appointment based on the types of appointments you’ve configured. The types of appointments you offer can be customized to fit the needs of how your business works. A Scheduling portal offers a new layer of communication with your connections, prospects and website visitors. Consumers expect local businesses to have an online presence 1 and by adding a scheduling portal, you’ve introduced a visible, low-pressure way for someone to schedule an appointment with you. You can easily manage the days and times you are willing to schedule appointments and events on connected calendars will be blocked off. Since a small business owner’s schedule requires attention in many places, the ability to manage when an appointment can be scheduled helps avoid bookings during times dedicated to other important tasks. While consumers expect to be able to call a business and get an answer right away2, they don’t like receiving phone calls from businesses3. It’s hard to get someone on the phone, especially younger consumers. A scheduling portal helps give those who don’t answer but are interested an easy way to setup an appointment on their terms. By eliminating scheduling calls, you also reduce the confusion of going back and forth to find an agreeable date and time for your meeting. A survey by Yodle shows that local businesses are viewed favorably among consumers. Local businesses generally have a reputation of more personalized service and expertise in their industry4. Consumers want more ways to communicate with those businesses online. Adding a scheduling portal gives your connections, prospects and website visitors a way to get in touch that fits in with their busy life. 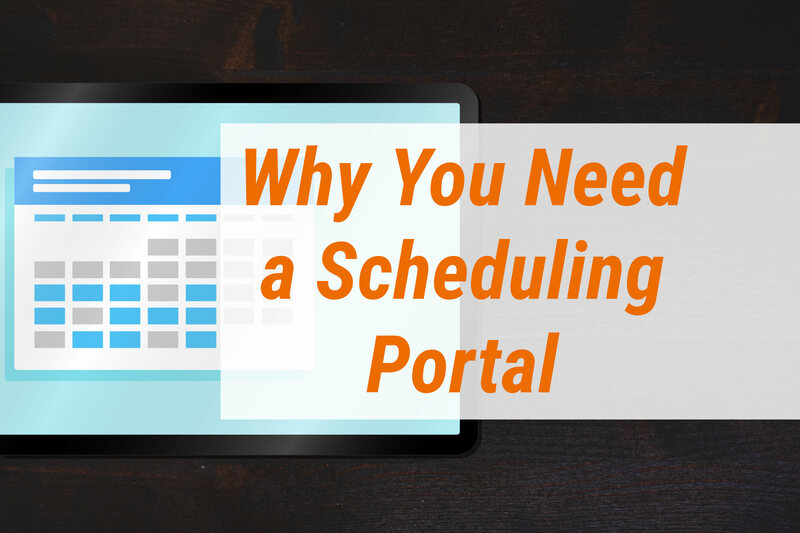 Having a scheduling portal is an effective way to increase your appointments. As consumers continue to adopt more advanced technology, they expect businesses to follow. The benefit of implementing online scheduling is that it’s a cost-effective way to improve your relationship with your customers.